Card: King of Spring – from the Victorian Fairy Tarot by Lunaea Weatherstone. Message from the Faeries: It’s so great that the King of Spring has finally decided to show up for you this week. His timing, as always, is perfect. Just when you were feeling tired and a bit low energy, this King shows up to give you the boost needed to carry on with your creative endeavours. Being from the element of fire, this faerie King is a force to reckon with with. He will show you how to move forward with your projects with ease and grace. He will give you lots of inspiration and creative ideas. Card: The Queen of Wands – from The Fountain Tarot by Jonathan Saiz. 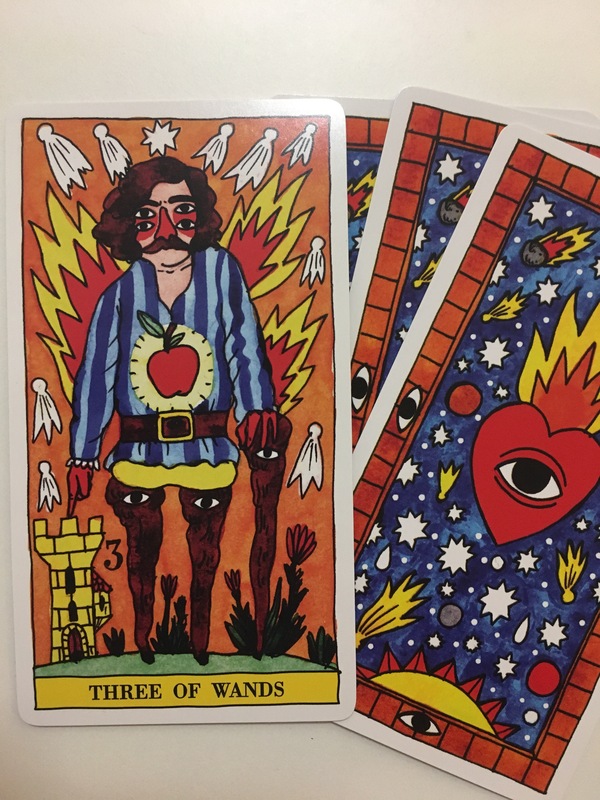 Message from the Faeries: We hope you find inspiration from the Queen of Wands this week. She is quite a remarkable person. Look at her glowing and twirling in joy. Why is she is full of life and light?! It’s because she believes in herself. She believes in her intuition. She believes in magic. In case you forgot, you are quite a remarkable person as well. You are full of magic and you have the intuition that will guide you to the places you need to be, to the people you need to meet, and to dream up the dreams that will inspire others. You have everything it takes to weave amazing things into your life. You are creative and have so many valuable ideas. We hope you see yourself in the card we chose for you this week. We you hope you recognize your abilities and can feel excited about all the possibilities that are being presented to you at this time. It is time for you to wield your magic wand and create greatness in your life and inspire those around you. You can be a beacon of light and hope to friends and family. We believe in you, and we hope you do too. 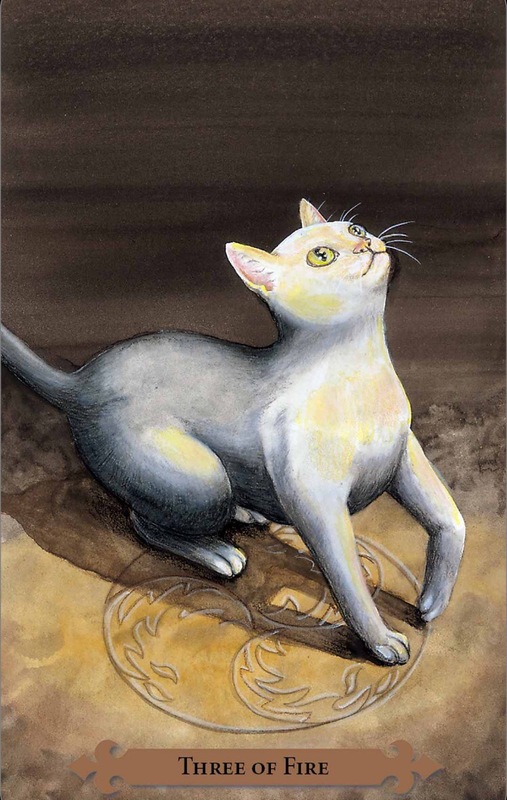 Card: Five of Wands – from the Shadowscapes tarot by Stephanie Pui-Mun Law and Barbara Moore. Message from the Faeries: Now is not the time for dithering or dilly-dallying. Now is not the time for sitting around and waiting for things to happen. Now is not the time for feeling overwhelmed, like you can’t move or take action. Now is the time to get up and move and get things done. It’s easy to feel paralyzed with fear or overwhelmed, especially when it feels like everything is happening at once. This week is going to be fast paced and feel like there is no end in sight. Have no fear, this is just a passing moment of hectic business. Things will start to wind down at the end of week. That is when you can take a breather and rest. The week will go by super quickly, you just need to hunker down and get to business. 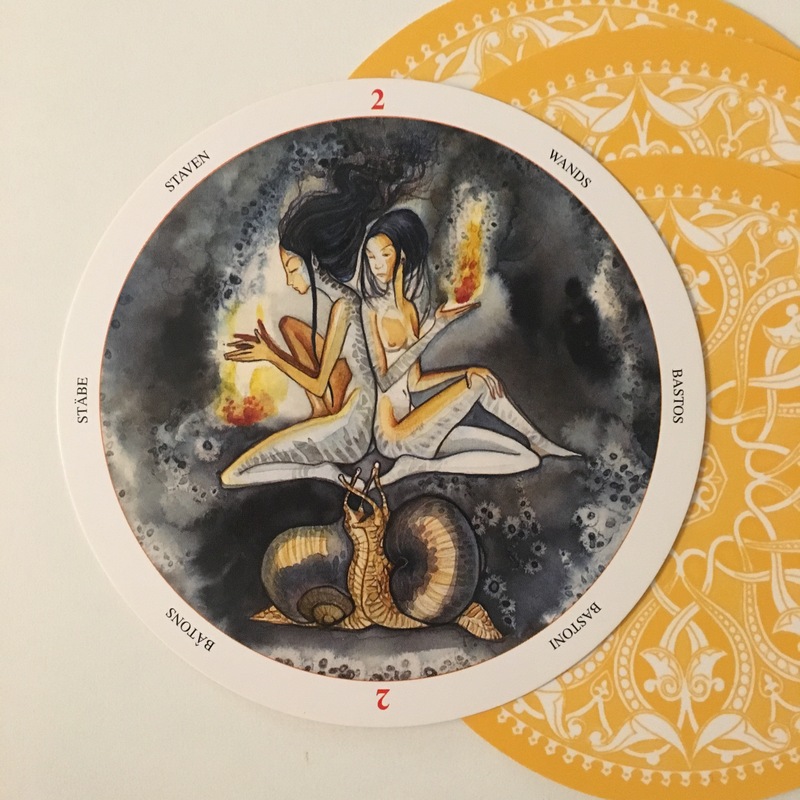 Like the rabbit in the imagery of this card, you will manage to get through this week unscathed, but it will take some determination on your part. Take courage and believe in yourself. We have no doubt whatsoever that you can accomplish all you need to at this time. You’ve got this. Card: Six of Wands – from the Circle of Life Tarot by Maria Distefano. 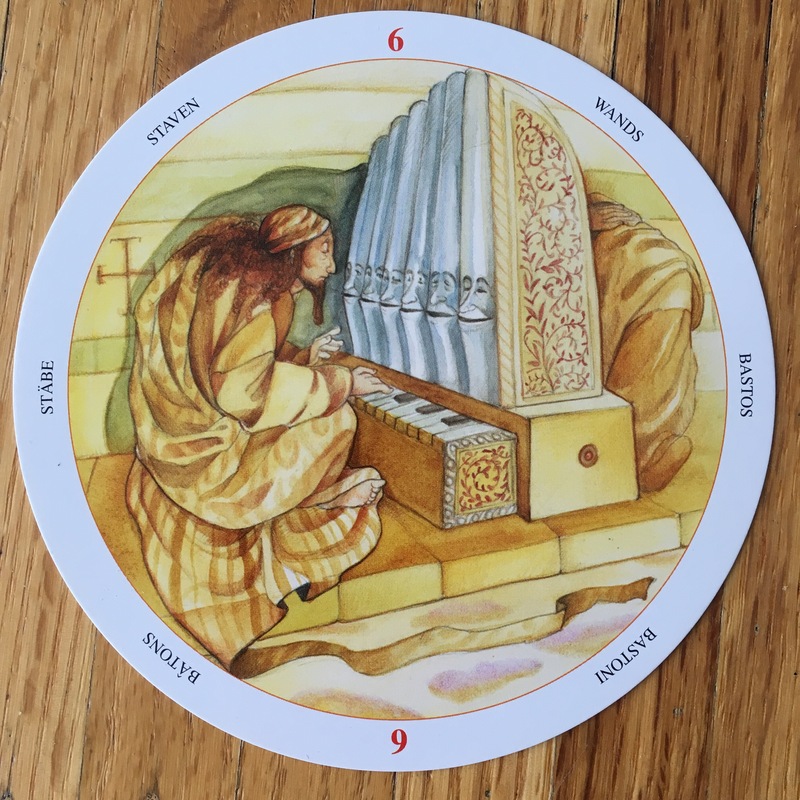 Message from the Erin: Every once in a while, when I do our weekly reading, I pull a card that the Faeries seem pretty unwilling to give much information about. This happens to be one of those times! They insist that this is the card for this week, but they aren’t being very forthcoming with any other message, haha. 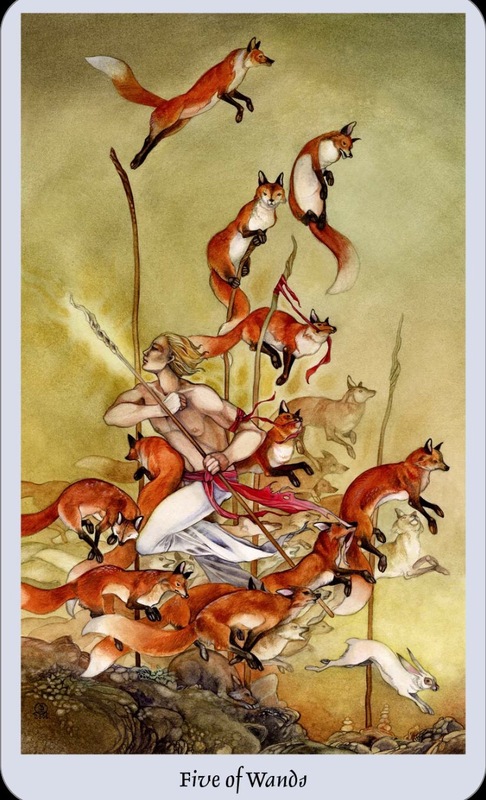 In my experience, the Six of Wands is a pretty great card to get, it’s a card of victory. It means that you get what you wanted and things will work out. Interestingly, the words that come with this particular deck and card give us a bit of a different message. The truth is, before either a win or a defeat, there is always a moment to sit and think about all the possible outcomes and make peace with whatever will happen. I think this a pretty good message for this: win or lose, when you’ve already made peace with the outcome, it doesn’t really matter. Yeah, of course it’s great to win, but it’s also the process of trying to succeed that can the reward in itself. Sometimes when things don’t work out the way we expected them too, we soon realize that maybe we didn’t actually want what we thought we did, or we end up with something better. The Faeries just told me: “There is no winning or losing, there is only winning”. We win no matter what. Whenever we think have lost we have actual won something that we didn’t know we needed at the time.